The following op-ed was signed by a group of scientists (full list of signatories at the bottom). On 17 January, MEPs should vote to recognise the importance of bioenergy in meeting the EU’s renewable energy and climate change targets. Amongst the renewable energy options, bioenergy has the unique potential to deliver significant benefits to society and the environment. Bioenergy is one of the most affordable renewable energy technologies. It is available in solid, liquid and gaseous forms and can be used for power, heating and transport. Sources of bioenergy are plentiful and can bring wealth and jobs to rural areas across the world and enable profit to be derived from marginal land. Bioenergy projects can create markets for low-value roundwood and residues and therefore reduce waste. Bioenergy fuels are indispensable in that they can be easily stored so when demand is high they can be mobilised as soon as they are required. As a result of all this, bioenergy can meet needs not readily met by other renewables and provide grid stability on cloudy or windless days. To be a positive part of an integrated approach to tackling climate change bioenergy feedstocks should be obtained from sustainable sources and not lead to the destruction of primary forest or land designated for nature protection. The production pathway for bioenergy fuels needs to be able to meet strict greenhouse emissions thresholds compared to fossil fuels to ensure that tangible carbon reduction is achieved. Stringent air quality standards must be adopted, implemented and regulated to ensure that any adverse effects to human health are minimised and bad practice is eliminated. More trees and perennial energy crops need to be planted than harvested in order to guard against any potential carbon debt, a scenario in which things get worse before they get better. The amendments to the Renewable Energy Directive (RED) adopted by the Environment Committee reinforce the requirement for a productive, sustainable and well-regulated bioenergy industry. The amendments seek to raise the bar and present bioenergy sustainability with even greater importance. Even in advance of the RED amendments, governments across Europe and industry bodies are already adopting more stringent approaches that ensure that there is greater traceability, accuracy, transparency and reliability in bioenergy reporting. Combustion of wood chip leads to higher emissions of nitrogen oxides (NOx) and particulates (PM) that can lead to premature deaths. All three of these common concerns can be dealt with. In 2016 only 3.3% of biomass harvested in the south-east US was used for pellet production for renewable power. 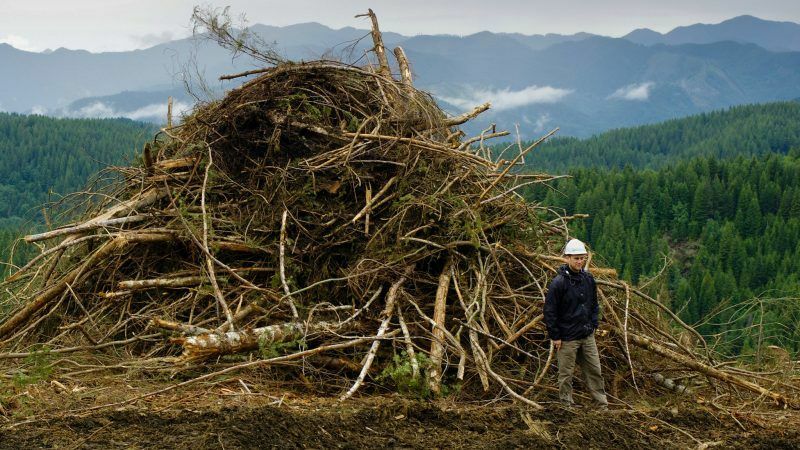 This is because bioenergy is generally a co-product of the forest industry, and is not the primary driver of forest management and harvest decisions. Saw logs are sold to high-value markets to maximize profit and only the lower grade and lower value material is used for bioenergy. It is true that if the life cycle analysis is based on single tree dynamics and the accounting starts at the point of cutting down that tree for the sole purpose of generating energy then it will take decades for the carbon to be recovered through tree regrowth. However, the reality of forest management is that it occurs at a plot-to-landscape level where multiple products are derived from that landscape over decades to centuries. At this scale there is a significant fraction of the forest carbon that has much shorter cycling time e.g. forest thinnings, and being able to carefully plan for their use alongside existing markets for forest products allows forest managers to invest in long-term productivity improvements that will enable the overall forest carbon stocks to remain stable, or even increase over the decadal timeframe. This approach also allows local communities to gain from their local resources and supports protection and recovery planning for the forests. In most countries, less than 2% of productive forests are felled each year, leaving 98% to assimilate atmospheric carbon released from any bioenergy combustion. In addition, in the US and Europe forests are growing faster than they are being felled, with this growth in the land area being driven by markets. This is providing an increase in carbon stocks through the larger area of forested land and because younger stands/forests absorb more carbon than mature ones. Furthermore, the anticipated future development of Carbon Capture, Utilization, and Storage (CCUS) technologies will enable some bioenergy pathways to achieve negative emissions. With regards to air quality, it is very difficult to identify the impacts of bioenergy combustion in isolation. Road transport, particularly from diesel vehicles, is a much greater source of PM and NOx pollutants. If anything these pollutants are likely to fall in the future with stricter emissions standards being adopted, as abatement technologies improve and transport is decarbonised. In any case, an increase in demand for bioenergy is likely to improve forest management practices and stimulate more planting of woodland and perennial energy crops. The former can help reduce forest fires whilst additional wooded land cover can help improve water quality and increase flood defence. All of these will protect human life. We believe that bioenergy has to be an essential part of the EU energy mix for at least the next 30 years. Without bioenergy and CCUS technologies, the COP21 commitment for a 1.5 degree reduction will be very hard, if not impossible to achieve. The negative impacts on the climate and society from such a failure will be significant for humans and biodiversity. However, at the same time we clearly need to promote good practice in a well-regulated bioenergy industry that ensures it is done well. We therefore urge MEPs to vote in favour of RED amendments that will consolidate bioenergy at the centre of EU renewable energy policy. Dr Emiliano Maletta, Agricultural Systems Research Group, Department of Agricultural Production, Polytechnic University of Madrid (UPM) and Director, Bioenergy Crops Ltd.
Prof Julian Kinderlerer, Immediate past President, European Group on Ethics , Emeritus Professor of IP Law, IP Law & Policy Research Unit, University of Cape Town. This post should be marked as ‘promoted content’ like the one by Jean-Marc Jossart, head of Aebiom. The author was paid by Drax power station in the UK (which burns millions of tonnes of wood pellets every year) to write it. Also this letter is profoundly misleading. Nobody is arguing against bioenergy per se. Clearly there are types that are a good idea. But EU policy provides blanket incentives and is leading to crazy practices that make climate change worse. And the idea this promulgates that harvesting at stand level magically disappears if you look at landscape level is a fundamental mistake that the signatories should not have put their name to. I suggest Euractiv readers instead read the letter sent to MEPs by nearly 800 scientists from around the world including leading IPCC authors and winners of the US medal of science and Nobel prize, urging them to limit bioenergy incentives to the traditional sources of wastes and residues.